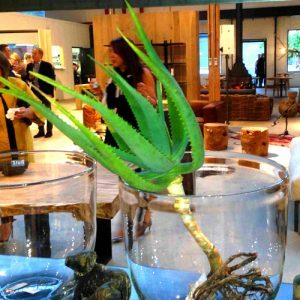 The genus Aloe is arguably one of Africa’s most iconic and valued plant genera, prized by succulent plant collectors, horticulturalists, and pharmaceutical companies alike for years for its fleshy leaves and therapeutic medicinal properties. But what makes Aloe-Aloe cultivars suddenly so appreciated and in demand is not their claimed medicinal properties (most recognized in “Vera”), not their water wise nature, and not their trendy architectural shapes but their spectacular flowers they deliver-All in the 40 year South African breeding program- larger, more prolific and for longer periods than pure aloe species. Different aloe species come from a range of habitats with vastly different climatic conditions which include the desert which is dry and tropical regions receiving a lot of rain. 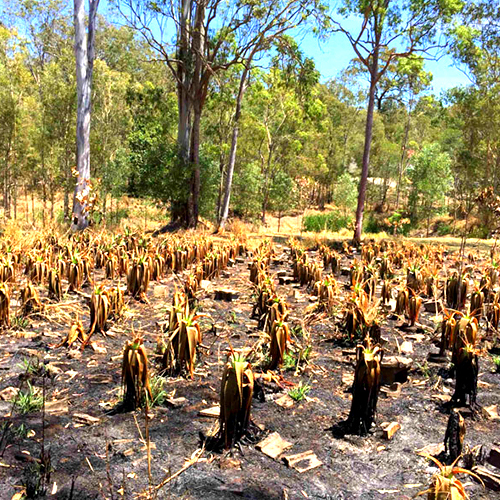 Many of these pure aloe species will not survive in Australian gardens with climates that differ from their natural habitat. 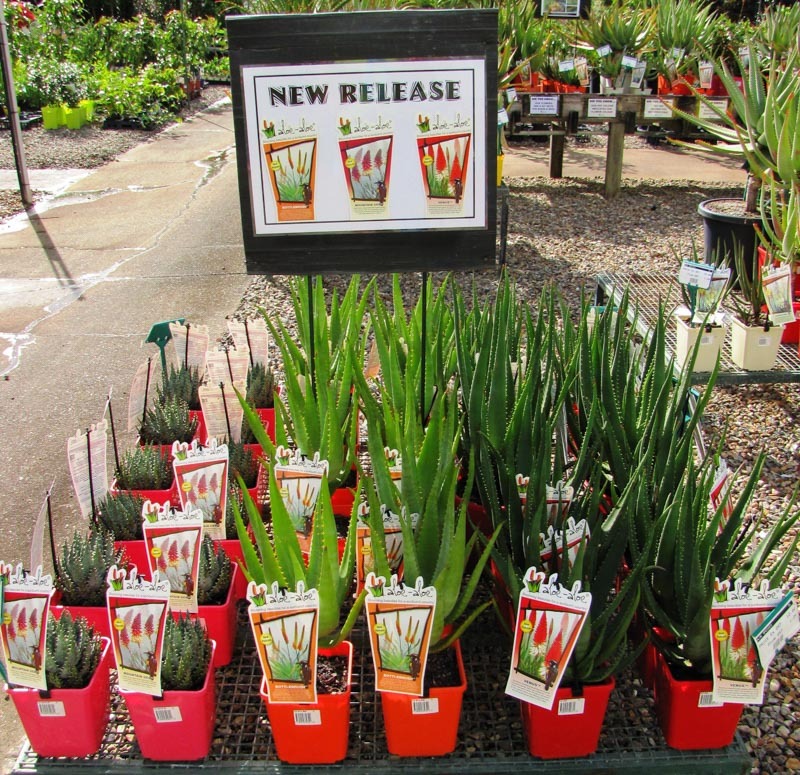 With the increased popularity of Aloe-Aloe’s, there is a proliferation of different aloe plants (pure species and new hybrids) becoming available across Australia (some branded and others not). This is great news for the sector of the market following the “succulent craze” collecting small plants for pot culture as there are some amazingly beautiful textural and coloured leaf forms now appearing. 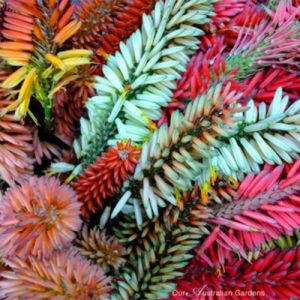 Some of these, referred to as "fantasy aloes" contain striking jaggard teeth and leaves containing red,orange and yellow markings. 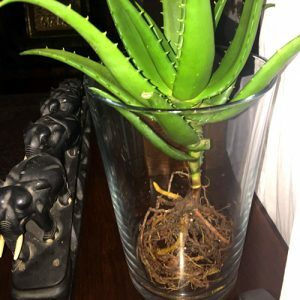 However, being the only dedicated aloe specialists in Australia, we constantly receive complaints from gardeners across the country on aloe species and other new aloe cultivars that are not Aloe-Aloes, such as “mine has never flowered” or “mine died when we received a lot of rain”. 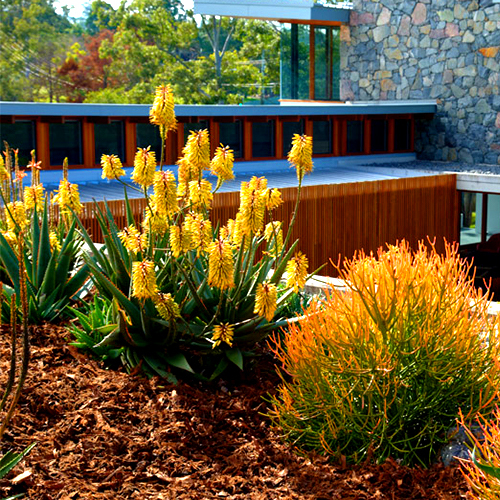 It is important to understand that whilst certain pure aloe species are capable of being used in landscaping, they are usually less desirable than Aloe-Aloe hybrids, as the species are adapted survive in a specific habitat conditions that is generally difficult to simulate in a garden in Australia. 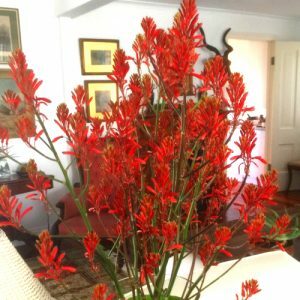 Whilst species aloes and these fantasy hybrids are great for collecting in pots, usually they have insignificant flowers and more often than not, are unreliable in–ground as garden plants in our harsh Australian climate. Aloe-Aloe’s have been bred and selected over 40 years for a range of specific criteria to ensure that they are reliable garden plants and are long and spectacular bloomers. Failing to meet one of these criteria would render the hybrid unsuitable and it would be destroyed. Every plant carrying the Aloe-Aloe label gives you the great advantages that cloned hybrid vigor offers over ordinary seed grown aloes- that we can guarantee. There are currently 37 different cultivars in the Aloe-Aloe collection. Plant sizes include small (some groundcovers), medium (some shrubs), large and extra large (some trees) in the Aloe-Aloe collection. 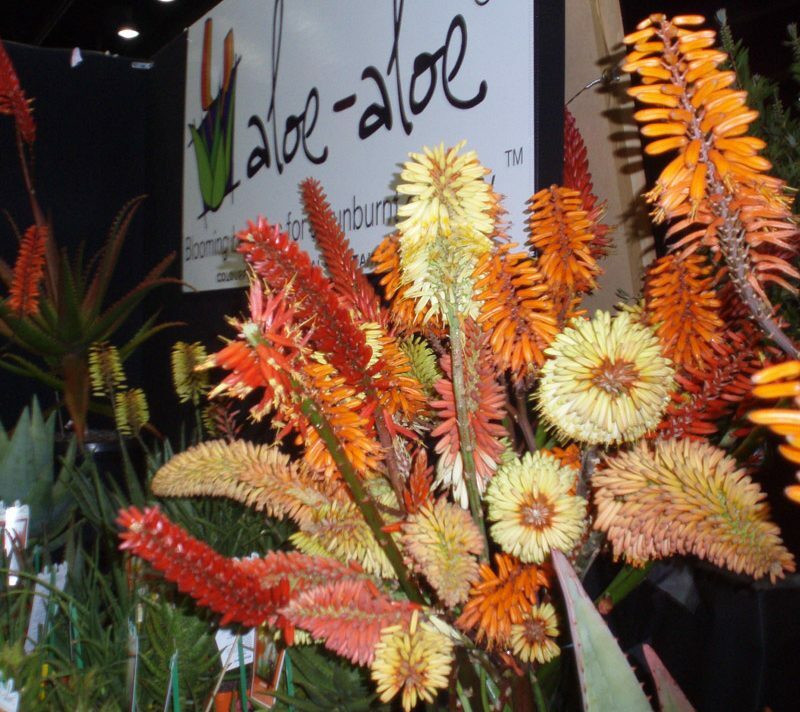 Flower colours comprise orange, pink, red, white, yellow and also many bicolours in the Aloe-Aloe collection. Aloe-Aloe cultivars all have different flowering times, but the majority of larger cultivars flower in autumn and winter in the Aloe-Aloe collection. Whilst some do not have a fixed flowering season, generally they will always flower in the same season relative to their location. Flowering in the south of Australia is generally later than that of the northern parts. 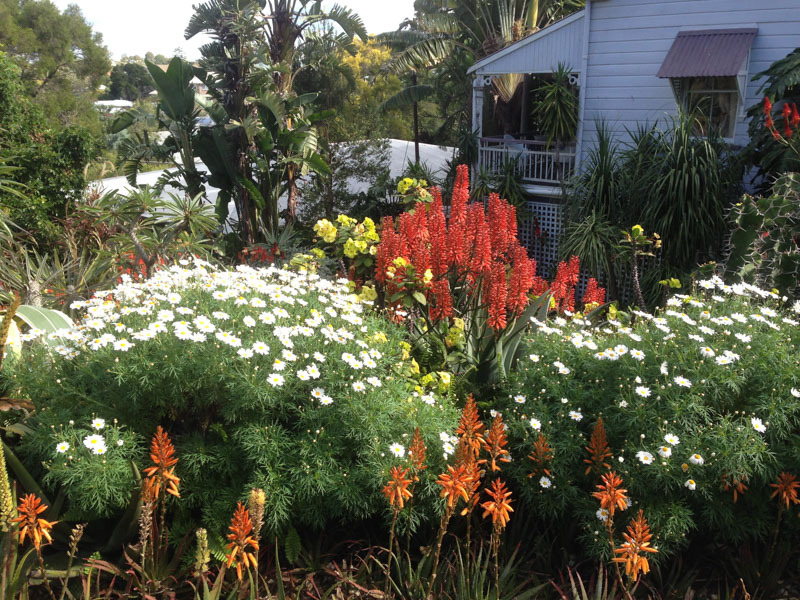 By carefully selecting aloe cultivars, your garden can have an aloe in bloom every month of the year. Because food is stored in the fleshy leaves they can be dug up, have the soil shaken off and then sit around decorating homes being quite happy for many months (up to12) and they can then be planted out in the garden – for this reason they are increasingly being sold in this way, with no risk of moving nasties in the soil. 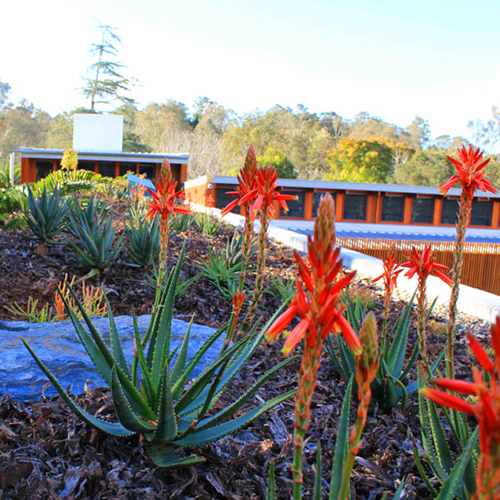 Aloe-Aloes a popular choice for the green roof and wall industry because of their flower performance, their ability to grow in shallow medium and their easy to care for and low water use qualities. 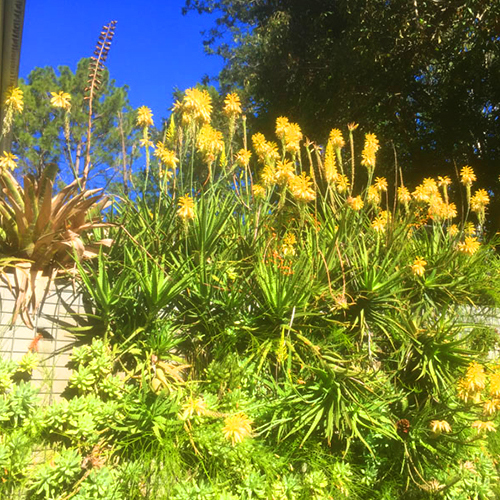 Because most aloe flowering is in autumn and winter when there is little else in flower, aloes are great plants to encourage wildlife to the garden. Bees (Australian native and European honey bees) feed from the nectar constantly and for honey farmers, honey production is significant in winter. 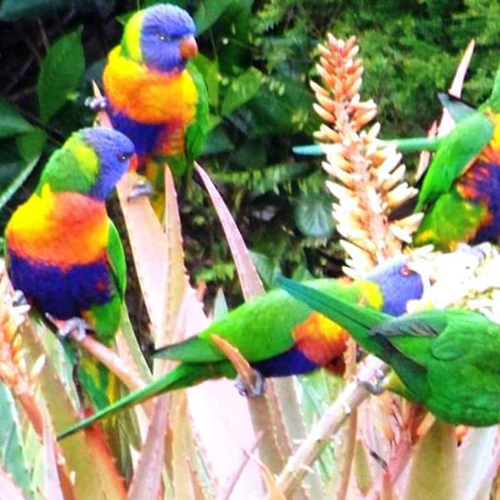 The aloes provide nectar and pollen continuously for nectar feeding birds during the day to keep them interested. 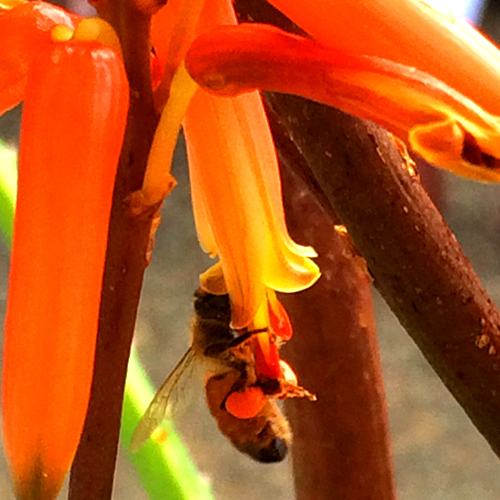 During the day as they drink nectar, they continuously pollinate the Aloe-Aloe’s. Butterflies and other insects are also attracted to the garden by the nectar, which in turn also attracts insect feeding birds. 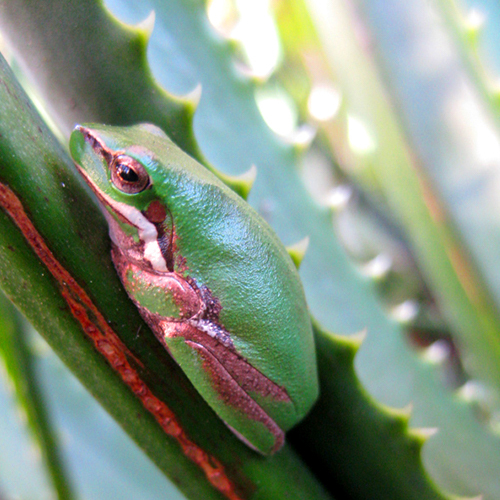 By planting Aloe-Aloe’s we can provide a habitat for a range of creatures around us, and thereby contribute to the biodiversity of our environment as a whole.